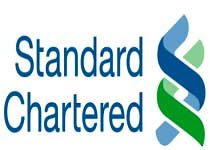 Standard Chartered Bank Nigeria is currently recruiting for the position of a suitable and qualified compliance Manager. We attract talented individuals. Not only can they give you the benefit of their experience, they also reveal a closer, more personal look at the wide range of global opportunities we offer. At the core of the Group's people strategy is our focus on employee engagement. Engagement is a key driver of productivity and performance, which creates the foundation of our performance culture. We encourage and focus on the behaviours that bring out the very best from every employee, assessing their performance not just on results but on how those results were achieved. To further embed these behaviours we have a remuneration programme in place, carefully designed to incentivise our employees to live our values every day. Drive, coordinate and monitor initiatives and actions to ensure the Bank’s branches operate in accordance with the relevant laws and regulations and policies and standards including those relevant to the prevention of money laundering. Provide timely regulatory advice and recommendations on key issues for the branches within the designated cluster structure. Ensure AML regulations, policies and requirements are clearly communicated to branch staff. Deliver refresher trainings to branch staff on key Group Compliance policies and procedures. Manage, coordinate and deliver appropriate training programme to ensure branch staff are sufficiently trained to apply and administer AML related controls in their day to day business activities. Assist in the development of an effective compliance culture in the branches by promoting the benefits of ethical business conduct and benefits of compliance. Coordinates and performs Branch Reviews for the branches within the cluster structure. Prepare and send MI to Country, Head Compliance on the activities within the designated cluster structure. This includes reporting of trends and risks (both existing and emerging) for management actions and decisions. Provide general CDD advisory to the branches within the cluster structure to ensure the Bank operates in accordance with the relevant laws, regulations and Group policies in relation to KYC/CDD. Use general knowledge of business products undertaken in the jurisdiction to work with business compliance specialists to respond to regulatory questions as it relates to the branches. Assist the Country Head of Compliance to ensure that the procedures, and controls in place are operating effectively in order to mitigate money laundering risk. Assist the Country Head of Compliance in the implementation of country level programmes and initiatives to enhance AML awareness and effort. Proactively drive the development and maintenance of good relationship with internal and external stakeholders at appropriate levels. Ensure close working relationship with the business, Regulatory/Business Compliance and FCC resources and ensure that there is a clear delineation of duties and responsibilities among various parties.